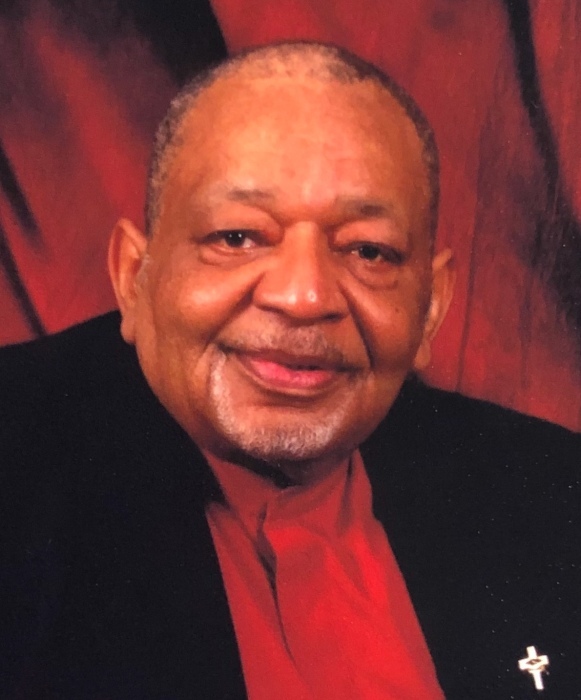 Obituary for Minister Edward Eugene Robinson | Jones Funeral Home, Inc.
Minister Edward Eugene Robinson, 78, a resident and native of Morgan City, LA passed away on January 30, 2019 at 6:30 PM at his residence. Viewing will be held on Friday February 8, 2019 from 6:00 PM until a Twilight Musical Tribute and Evening of Remembrance beginning at 7:00 PM at the Lee Chapel AME Church 609 Feret Street Morgan City, LA. Viewing will resume on Saturday February 9, 2019 from 9:00 A.M. until funeral services beginning at 11:00 A.M. at the Mt. 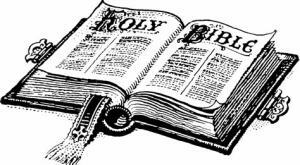 Pilgrim Baptist Church 113 Federal Avenue Morgan City, LA at 11:00 AM. Entombment will follow funeral services in the Morgan City Cemetery - Mausoleum Section. Reverend C. F. Smith will officiate the services. 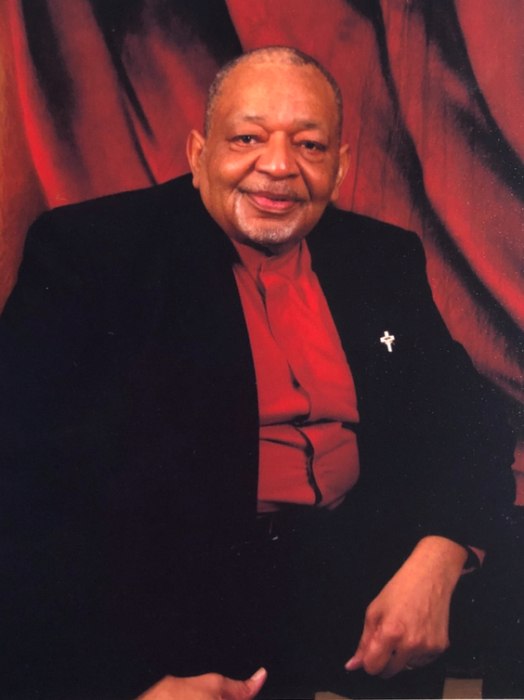 Reverend Edward Eugene Robinson was born on March 7, 1940, in New Orleans, LA to Genevieve Morrison and Henry E. Robinson and reared by Maxie O’Brien, Sr.
As a young boy, he attended Adams Elementary School in Yakima, Washington. Upon returning to Morgan City, LA he attended Morgan City Colored High School and Sumpter Williams High School. 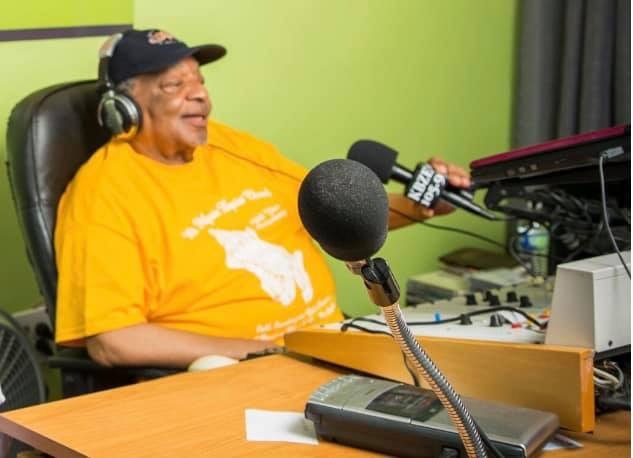 During his high school years, he was a member of the band, captain of the football team, student council president, class president, and graduated valedictorian of the Class of 1959. Rev. Robinson’s spiritual journey began at an early age where he was baptized at Lee Chapel AME Church under the leadership of Rev. I.S. Wilson. He was a member of the Choir, Trustee and Steward Boards, Sunday School teacher and Church Treasurer. On March 8, 1972, Rev. Robinson and his loving wife Mrs. Oraline Robinson along with Maxie O’Brien, Jr, and James Johnson formed their beloved Soul Inspirational Choir where they gained more sons and daughters. With an overwhelming desire for music Rev. and Mrs. Robinson joined the Gospel Music Workshop of America (GMWA) in 1988 where he became a member of the Gospel Announcer’s Guild. On October 31, 1989, SIC became members of the Acadiana Chapter of GMWA under their leadership, and Rev. Robinson was appointed as Assistant Chapter Representative. On June 20, 1993, Rev. Robinson was baptized and ordained as a deacon on July 23, 1996. He also graduated from the United Theology Bible College with a Bachelor of Arts degree in Theology in May of 1998. On March 13, 1999, he was ordained as a Minister by the 5th District and later became the Associate Pastor of Mt. Pilgrim Baptist Church of Morgan City, LA. Memories of Edward will forever remain in the hearts of his wife of fifty-seven years, Oraline Collins Robinson of Morgan City, LA; one son, Barry E. (Melissa) Robinson of Slidell, LA; two daughters, Bearlyn Y. (Gregg) Ash of Hendersonville, TN and Belva C. (Eric) Chapman of Youngsville, LA; six grandchildren, Brandon Ash, Ronecia Robinson, Aryana Ash, Eric Chapman, III, Nykira Grimes, and Bre’on Chapman; three great-grandchildren, Jordyn Hill, Reagan Ash and Tatum Chapman; five brothers, Maxie O'Brien, Jr. of Verdunville, LA, Gary O'Brien, Sr. of Lafayette, LA, Carlos O'Brien, Sr. of Houston, TX, George Robinson of Washington, DC and Henry Robinson, Jr. of Los Angeles, CA; twelve sisters, Ethel Morrison of Morgan City, LA, Ann L. Carter of Lafayette, LA, Mary L. Shaw of Houston, TX, Renee Weathersby, Ida Barron, Helene Warfield, Viola Robinson, Sheba Williams, Daphane Dunn, Traci Hoyd and Lorraine Robinson all of CA, and Edna M. Robinson of Morgan City, LA; an uncle, Raymond Morrison of Morgan City, LA; an aunt, Rita Williams of Ettrick, VA; five Godchildren: Joseph Skipper, C. Kent Welsh, Tina Young, Shairee Jones and Chad O’Brien, three special daughters Linda Turner, Patrice Hebert and Eriyana Charles and a host of nieces, nephews, other relatives and friends. Minister Robinson was preceded in death by his parents, Henry Robinson, Sr., Genevieve and Maxie O'Brien, Sr.; two brothers, Clayton Robinson, and Warren Robinson; two sisters, Willa Mae Robinson and Ellen Woods; his grandparents, Harper Morrison, Sr. and Elnora Morrison and his aunts and uncles, Annie Mae Skipper, Harper Morrison, Jr., J C. Morrison, Walter Morrison, and Odessa Morrison. Active Pallbearers will be Gregg Ash, Eric Chapman, Jr., Ray Dewey, Sr., Kent Welsh, Donald Nicholas, Sr., and Curry O’Brien, Sr.
Honorary Pallbearers will be the Fifth District Ministers, Raymond Daniels, Barry E. Robinson, Raymond Morrison, Brandon Ash, Eric Chapman, III, Gary O’Brien, Sr., Carlos, O’Brien, Sr., George Robinson, Henry Robinson, Jr., and Maxie O'Brien, Jr.